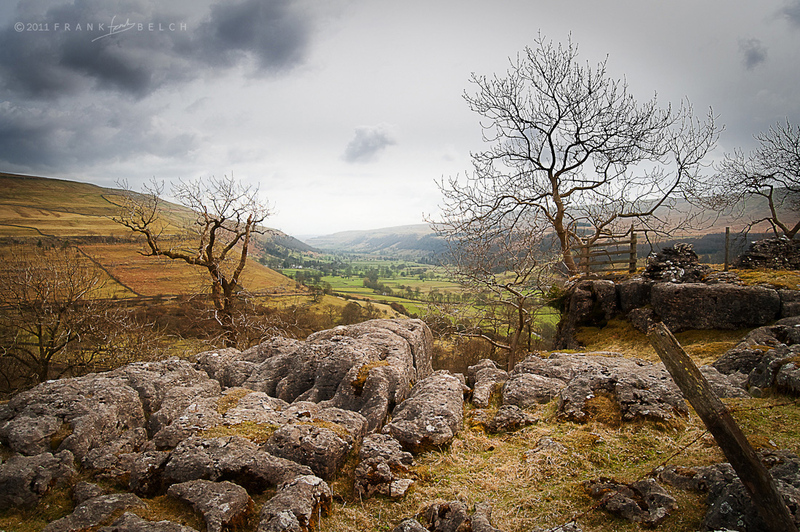 Out walking in Upper Wharfedale last autumn and found ourselves a picnic spot with a fantastic view into Wharfedale. We set out from Buckden over the hill then down into Cray, then from there up and across towards Yockenthwaite. We went back down into the valley and into Hubberholme to see the Church graveyard there where J.B. Priestly, author, novelist, broadcaster and man of words is buried. From there then back to Buckden along the river footpath. Its a beautiful part of our country to get away from it all . . for a while. I know you like B & W, but this is a great picture, with great colours! Thank you so much for the encouraging comment! This has to be one of my favourite places in northern England. Glad you like it.